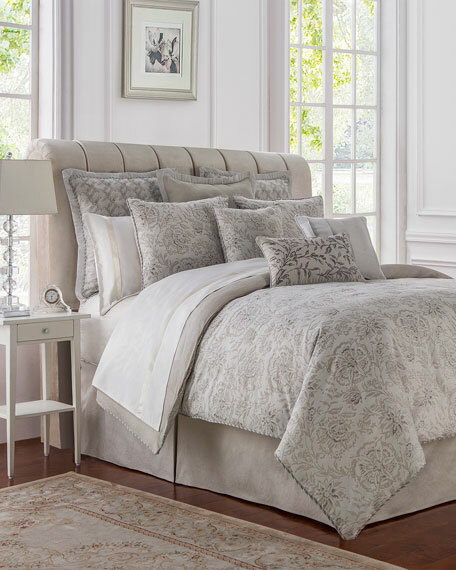 Queen floral jacquard 4-piece set includes 92" x 96" comforter, two 20" x 26" standard shams, and dust skirt. 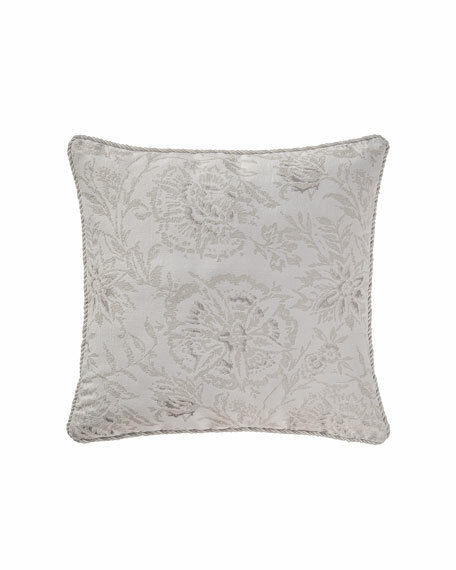 Floral comforter and shams have a jacquard reverse to match the tailored dust skirt with 18" drop; shams are framed with cord trim. 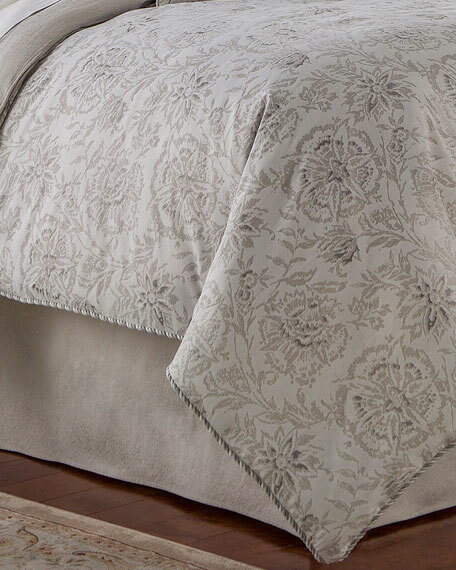 King floral jacquard 4-piece set includes 110" x 96" comforter, two 20" x 36" king shams, and dust skirt. 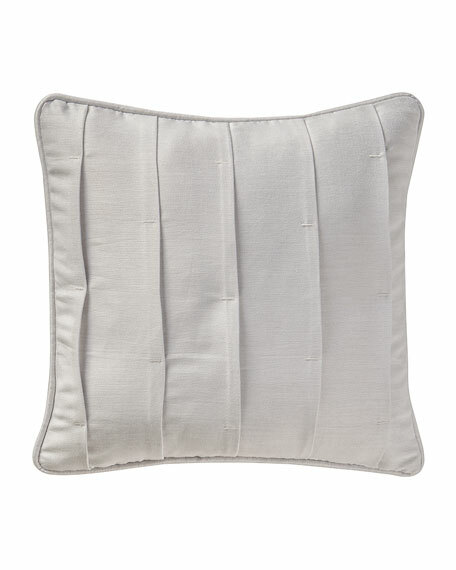 Waterford Sophia Pleated Pillow, 16"Sq. 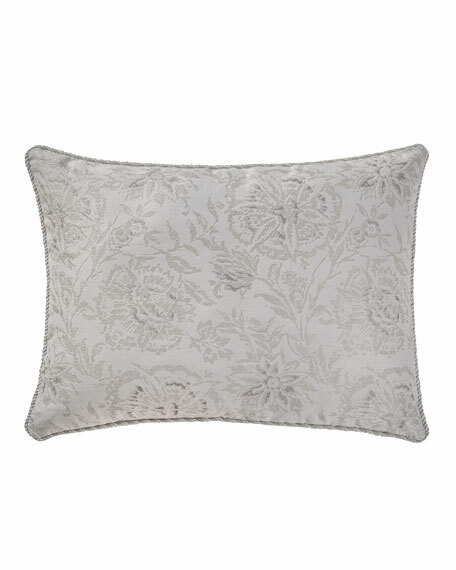 Waterford Sophia Floral Pillow, 18"Sq. 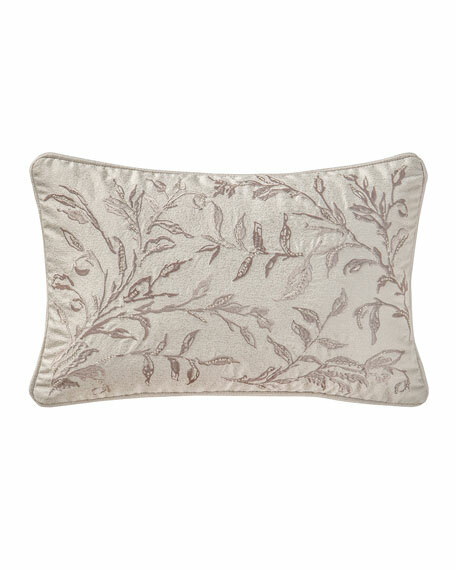 Waterford Sophia Breakfast Pillow, 12" x 18"
WaterfordSophia Breakfast Pillow, 12" x 18"
Sophia breakfast pillow is embellished with satin-stitched leaves and beading.